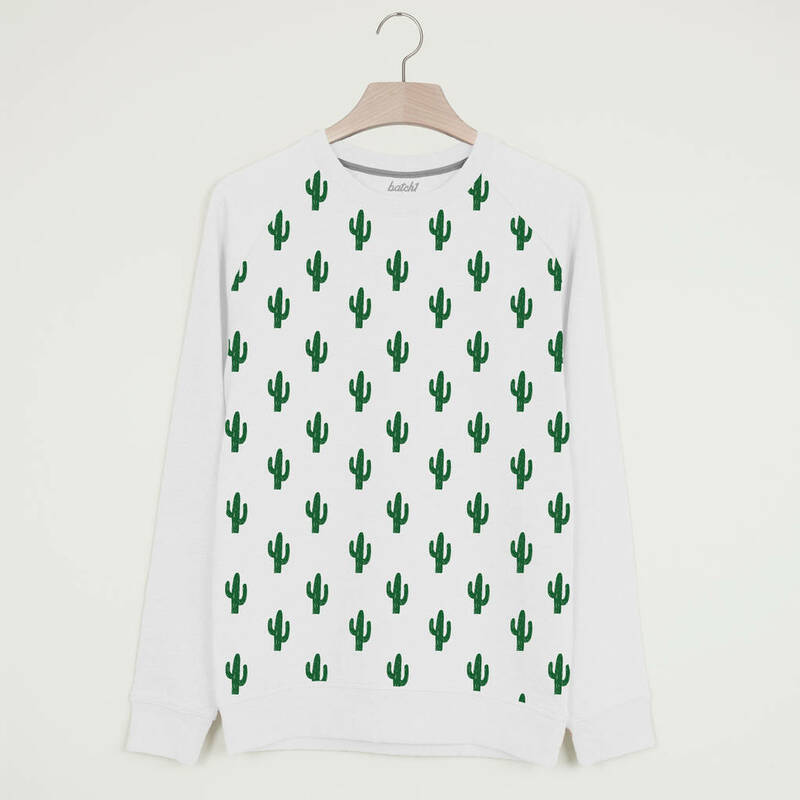 Cactus all-over print sweatshirt, perfect for summer nights. 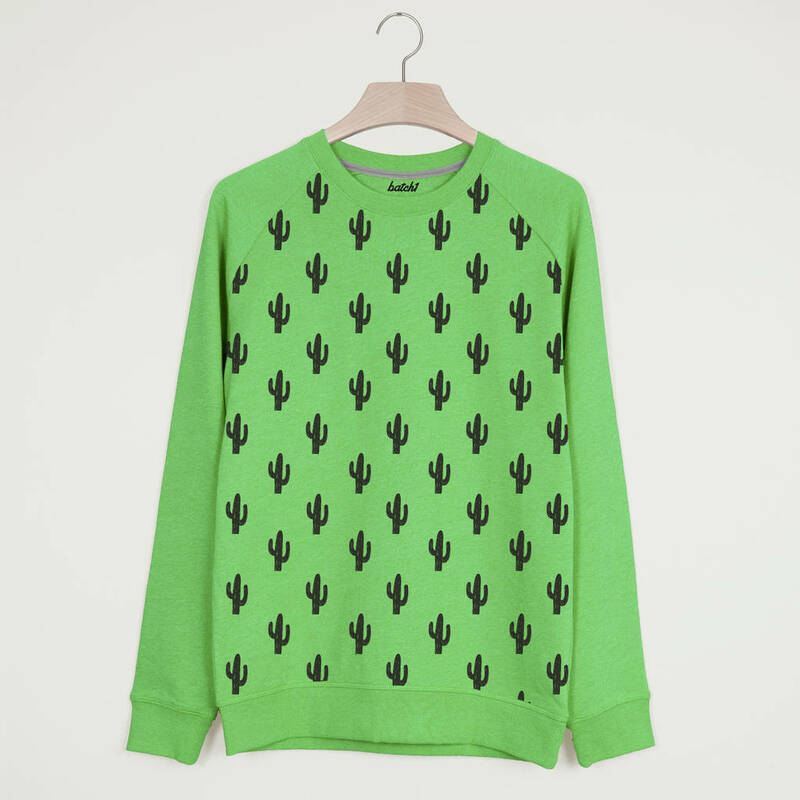 This cool all-over-print cactus sweatshirt is a fun way to wear the latest cactus trend. 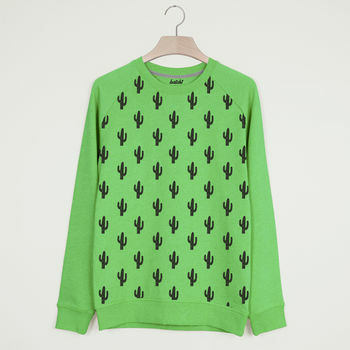 A great summer sweatshirt in colours that pop.